The Hellenic Initiative supports the work of GIVMED for the second consecutive year. With almost 2.3 million people in Greece living below poverty line and some of them unable to cater for their pharmaceutical needs, while at the same time 34 million boxes of drugs expire every year, THI renews its trust and support to GIVMED, the first network for utilization of leftover medicines, with a new grant of $15,000. GIVMED launched in late 2015 by a team of young students in Greece. By mapping the needs of social welfare institutions, GIVMED managed to connect the demand for specific medicines with the supply from individuals, as well as other welfare institutions and pharmaceutical companies. The main goal of the organization is to make sure everyone has access to drugs while at the same time fewer of them are wasted due to expiry. To this date, GIVMED has made significant progress towards this goal, since 27,406 boxes of medicines with a total value of € 264,000 have already reached people in need, through the organization’s user-friendly digital platform. THI’s funding will allow GIVMED to expand their network, by reaching out towards more welfare institutions in need of support as well as more pharmaceutical companies that can donate medicines. It will also accommodate the necessary software improvements that will enable the organization to receive and process an even greater number of drugs. The aim of GIVMEDs ongoing program is to donate 8,000 boxes of drugs with a total value of 80,000€ by the end of June 2019. Mr. Nikos Stathopoulos, THI Board Member, stated: “We often underplay the power of small teams to achieve big changes. GivMed is an example that shows that through hard work, passion and drive much can be accomplished with limited resources and in such a short period of time. By supporting GivMed we don’t just support one more nonprofit solving an important societal problem. We support a way that we see things need to be done in Greece”. Mr. Michael Printzos, THI’s Program Director stated: “Renewing our support to GIVMED for the second year is a great pleasure for the Hellenic Initiative. 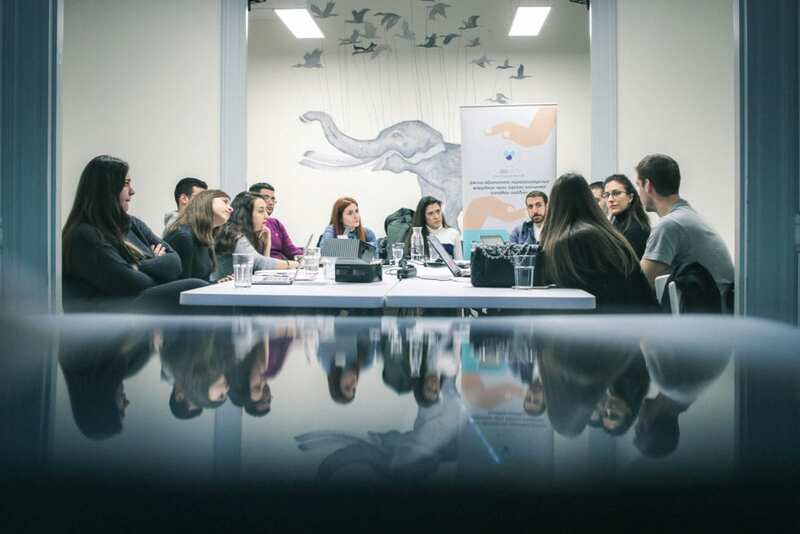 This organization is a prominent example that if there is will and ingenuity, even a small team can make great difference in addressing some of the major problems that Greek society faces. This innovative support program is an excellent idea that provides significant help to our fellow citizens lacking the means to cover their pharmaceutical needs”. Mr. Thanasis Vratimos from GIVMED. stated: “We are very proud that The Hellenic Initiative continues to show trust in our organization for a second year, contributing to our vision for direct access of all people to the medicines they need. Their support will allow us to help even more of our fellow citizens in need. All medicines will be given to community organizations, such as social pharmacies, institutions for the mentally ill, children or refugees who meet the necessary prerequisites”. Help us in our efforts to provide direct crisis relief to the people of Greece.